At the end of December our North City branch of the post office is moving from its building at 15th Ave NE and NE 175th. Despite other USPS offices being closer to Pinehurst, the North City office is where we pick up packages and have our mail held if we go on vacation. The last day of service is anticipated to be December 29th. USPS lost the North City location when the new owner of the land put it up for sale. The federal government owned the building but only had a lease on the land. The lease was renegotiated several times, but the new buyer invoked a clause to end the current lease so they could begin construction of an apartment building on the site. USPS had leased a temporary space at Gateway Plaza in Shoreline, 18336 Aurora Ave N, Ste 105. Gateway Plaza is located on the east side of Aurora Ave N at NE 185th and contains Bartells, BECU, and several restaurants. Midvale Ave N runs through the middle of the Plaza. There are access points to Midvale from N 185th, from N 175th in front of Shorelinc City Hall and from several points on Aurora. The post office will be in a large space at the inside corner of the main building, next to Toni and Guy hair salon and cosmetology school. 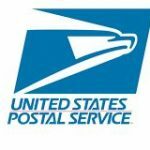 The new space is intended as a temporary location while USPS continues to actively search for a long term solution as close as possible to the current North City location. I put mail in that standing mailbox at the old location, Tuesday 1/2/2018.I need to know if that is still a working / active mailbox still, it is the drive thru box, please let me know, Thank you! To be honest, I’m not positive. We just shared the info that was shared. I’m relatively sure it’s still valid as it would be closed/removed/at least have a sign if it wasn’t. But if you want to be sure I’d suggest calling any of the local post offices to confirm. They moved the carrier facility to Mountlake Terrace (in the Cinebarre Mall) and that is where you get to pick up vacation letters. They moved the retail and parcel operation to the Shoreline location and that is where you get to pick up vacation hold packages or delivery attempted packages. Incidentally, both locations are named Gateway. Although I realize they had a short time frame, it surely couldn’t have been lost on the powers that be that moving two pieces of a post office to locations that had a similar name was not exactly a brilliant move on their part. Here’s to a future newer, bigger, hopefully somewhat modernized (dare I hope for automation??) new location for the North City Postal Facility. As a 34 year UPSer it pained me to see how they managed this move and how they were loading out their delivery vehicles at the new location. It is no wonder they continue to lose billions of dollars a year.